2010 is here and so is a new year of Bakhtin studies. 2009 ended with an inspiring meeting at the University of Växjö – now Linnaeus University Växjö – and more about what we discussed there will follow shortly. In the meantime, here’s a snapshot of some of the listeners to the talks the first afternoon. 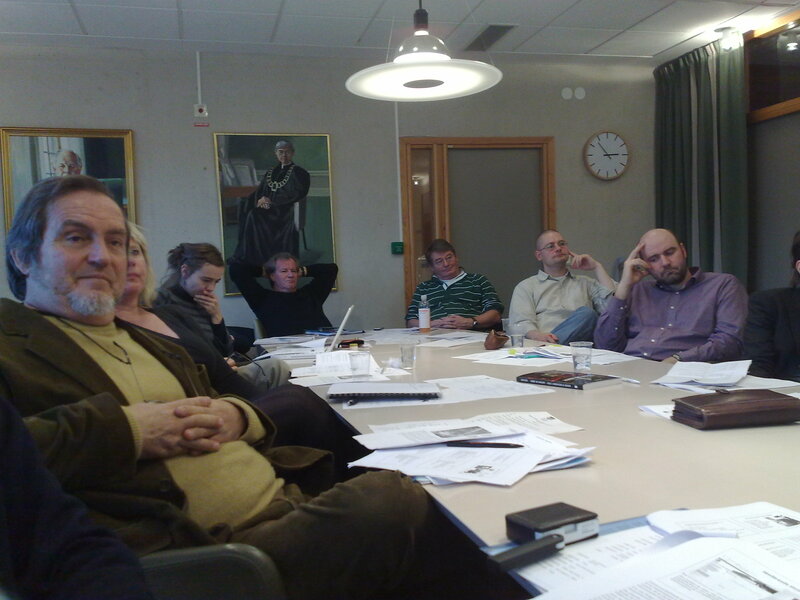 From the left: Helge Vidar Holm (University of Bergen/Université de Caen), Anne Gjelsvik (NTNU), Liva Bodil Kalvik (University of Bergen), Tommy Olofsson (Linnaeus University Växjö), Sigurd Kværndrup (Linnaeus University Växjö) , Jan Lundquist (The Danish Bakhtin Society) and Torgeir Skorgen (University of Bergen).